You may think it is too late to together a cute Halloween garland, but this one requires only candy and a stapler. You could probably put it together while watching your favorite TV show, even if you are fast forwarding through the commercials. If you already have a Halloween garland, tuck this idea away for next year. 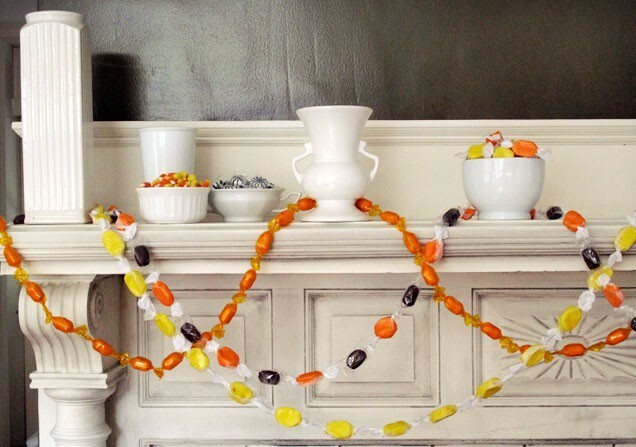 You can see how to make a Halloween candy garland over at iVillage. I found you via Lil' Luna and love your site! I've got a project voting party going on right now on my blog. I'd love for you to come vote and be entered into my Tinker B Boutique giveaway as well!